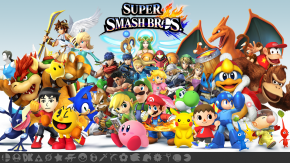 For those of you keeping up with the video game scene, you would probably know that Super Smash Bros for Wii U has been a crazy hit amongst anyone who either has a Wii U, or if you were paying attention to the various game awards that have been going on these past few weeks! Even this past month, The Game Awards has been held once again to judge and appoint the top games of 2014 with various awards, and despite being one of the newest titles on the market, Super Smash Bros for Wii U ended up winning the Best Fighting Game of 2014 category, a true sight to behold! You can find that particular article here. The game is fantastic to say the least, after I had finally picked up a Wii U on Black Friday, I was able to play it for hours on end with some of my friends here on campus! Needless to say, there were also various other things happening around, such as the actual Super Smash Bros Tournament that we held here on campus! If you are a student and you want to play some games competitively, we have various different events either set up by the individual students or even by the Residence Assistants every month for everyone to participate in! In regards to this one though, there were about 10 people actively participating in this tournament. We've seen a lot of new things come into the game, particularly play style has changed for a couple of the iconic characters, but the tournament was hard fought as it was yours truly that ended up bringing home the title of UAT Smash Bros Champion! 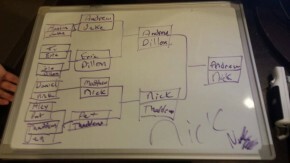 Beautiful bracket drawn by our RA Pat who was hosting the tournament, but I still made it all the way to the top! 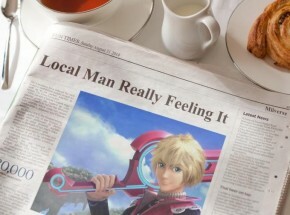 I can't help but feel like I had the edge because the characters I play are a little more obscure in the competitive fighting scene, where I play Pikachu and Ness as opposed to popular picks such as Captain Falcon or Fox and Falco. Given I used to play Super Smash Bros Brawl for Wii competitively as well, it was barely even an issue of being able to pick up the new game from the start! We host more tournaments than just the ones focused around competitive fighting games, such as Mario Kart 8, or just playing games together such as when the Kingdom Hearts 2.5 HD remix was released here recently for everyone to play. Needless to say, a lot of gaming goes on around here, aside from just the norm of League of Legends by all of the PC players here at the university. If you want to join us, just go ahead and issue the challenge and we'll be there to answer the call!